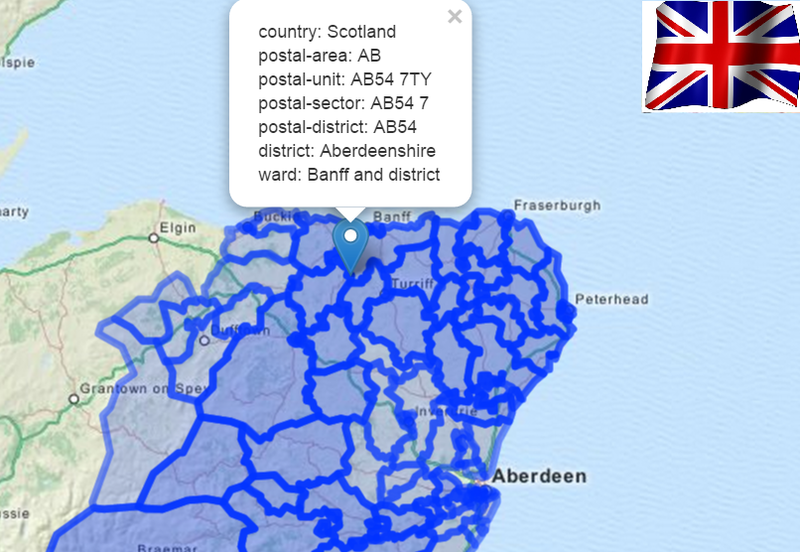 A simple & very fast API that will allow you to integrate multiple GeoJson UK Unit and sector level boundaries result into your apps and systems. Copy and paste the results here: http://geojsonlint.com to see a sample of how to integrate with googlemaps. This API is designed to be used programatically for optimal performance. When using the MashApe UI for testing queries expect significant latency issues and "API not responding errors", or Downloading hangs at 100% (MashApe UI) on large result sets. By Removing the limit parameter sets no limit in the number of postal units to process returned for your query. This does not happen with direct calls to the API.